You may remember the leather Dickens set giveaway from a few weeks ago. J.L. reports in that the books have settled in nicely. 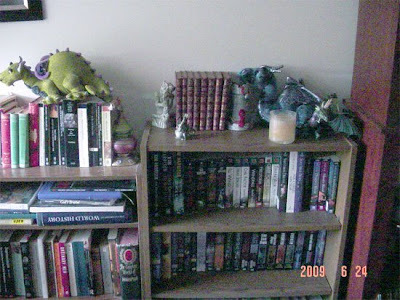 Good to see their new owner has fine taste in dragons.